The festival is Saturday & Sunday, May 18 & 19, 2019 from 9 a.m. until 5 p.m. 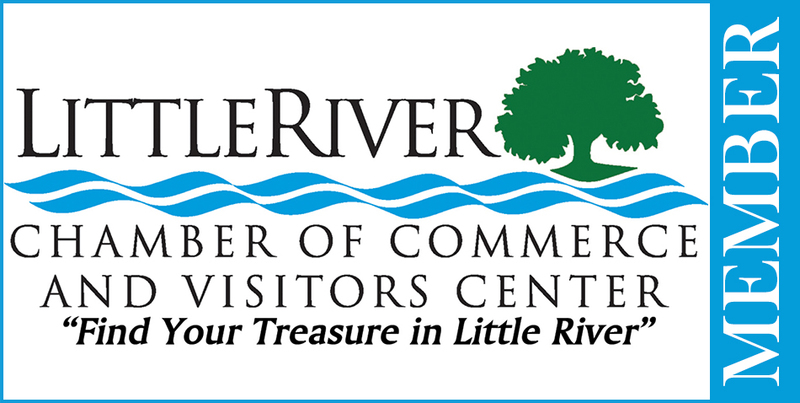 The event is at the Historic Little River (SC) Waterfront. Parking at these locations is $5/car and includes shuttle ride to & from festival entrance. Admission is $5 per person (per day) at the gate. Children 12 & Under are free. Discount tickets are available in-person at these locations while supplies last. T-Shirts will be available for $15 each or 2 for $25 at the festival. T-shirts are not available before the festival. Other wares or shirt styles may be priced differently. Any leftover shirts will be available for purchase at the Little River Chamber beginning late in the week following the festival for a limited time (there will be limited styles and sizes left). 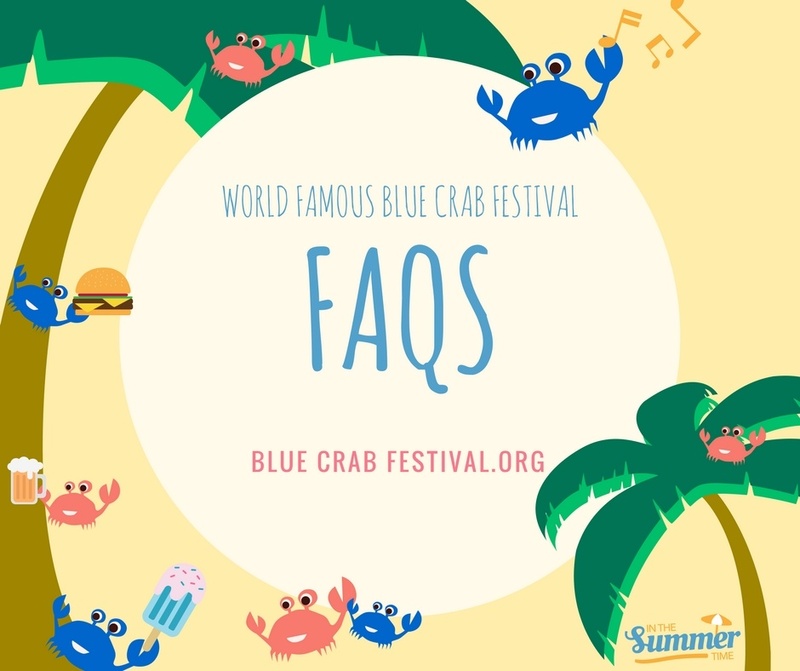 Blue Crabs and other fresh local seafood will be available for purchase from vendors and restaurants within the festival. The $5 Admission into the festival does not include food. No outside food, beverages or coolers will be admitted. There will be limited seating available for entertainment and dining. You are welcome to bring your own chair. An easy to carry, collapsible chair that you can easily carry or fit on a bus seat with you is advised. The Entertainment Schedule features live beach music. No pets. Only ADA compliant Service Animals. A Water Taxi ($15 round trip – includes parking & admission) is available. Call Myrtle Beach Watersports at 843-249-0870 for info.